William was from Ellaby Road and served as P1337 with the 1/12th Battalion, Loyal North Lancashire Regiment. The "P" in his service number indicates that this was a Pioneer Battalion, responsible generally for road and trench building. 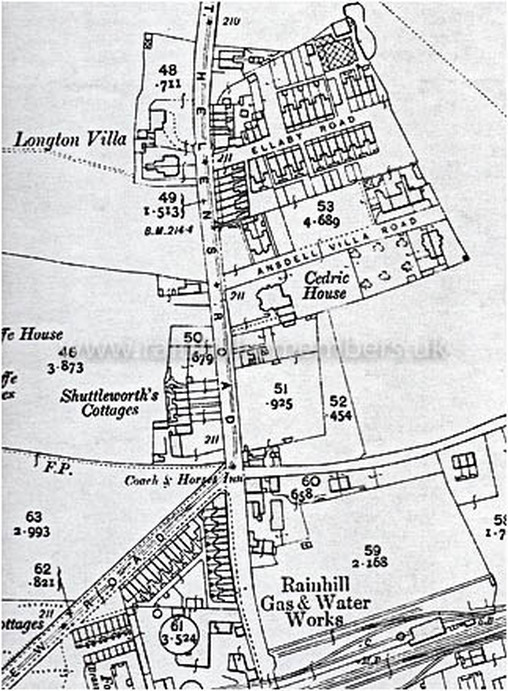 The map above shows the position of Ellaby Road in relation to the area of Rainhill north of the railway.